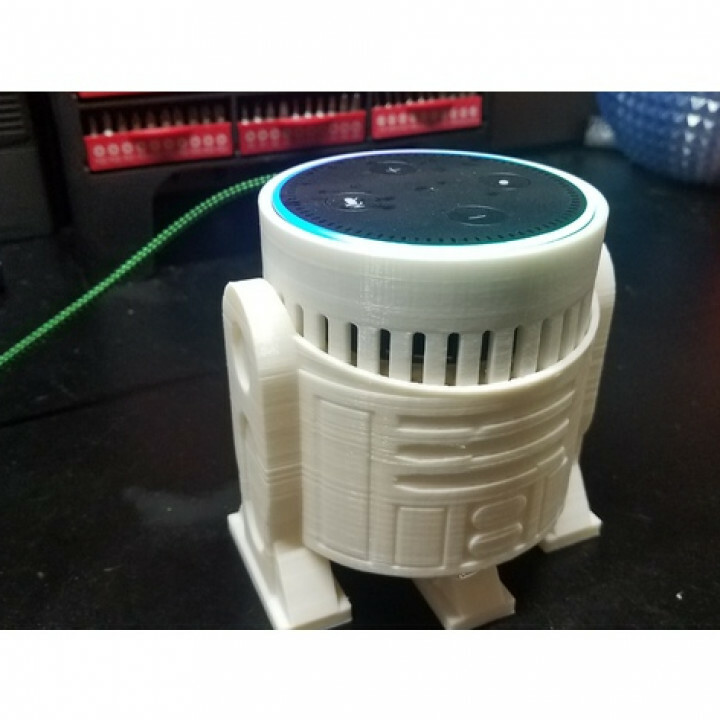 R2D2 mixed to fit a Echo Dot Gen 2, I would suggest using a White dot since the black bleeds thru the sides slightly. It's a tight fit so line up the power plug in the back correctly before seating it in. fit a Echo Dot Gen 2, I would suggest using a White dot since the black bleeds thru the sides slightly. We appreciate TJ Loposser to allow us to share your talented design here.